In my darkest hour, I seem so far from home. 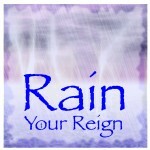 Rain Your Reign in our souls. Hold us close, don’t let go!